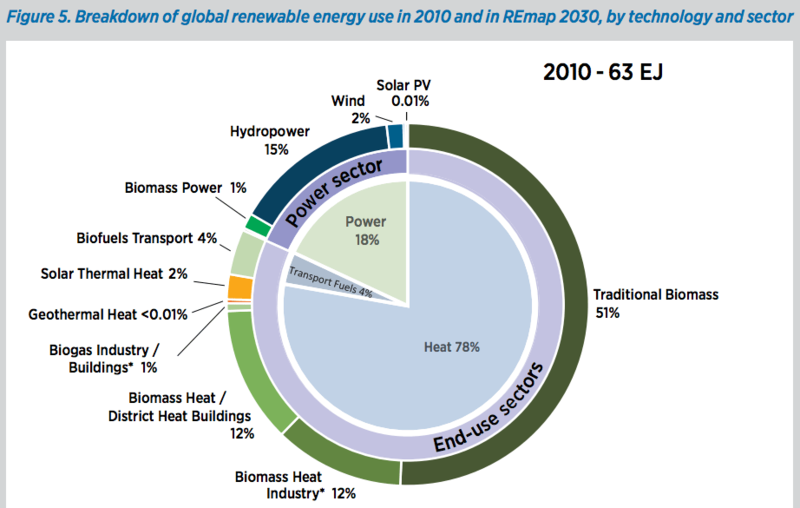 IRENA has just launched REmap 2030, a roadmap showing how the world can double the share of renewable energy in the global energy mix by 2030, and triple the share of “modern renewables.” Overall, REmap 2030 sees modern renewables quadrupling in absolute terms by 2030, a share of at least 30% in total final energy consumption. 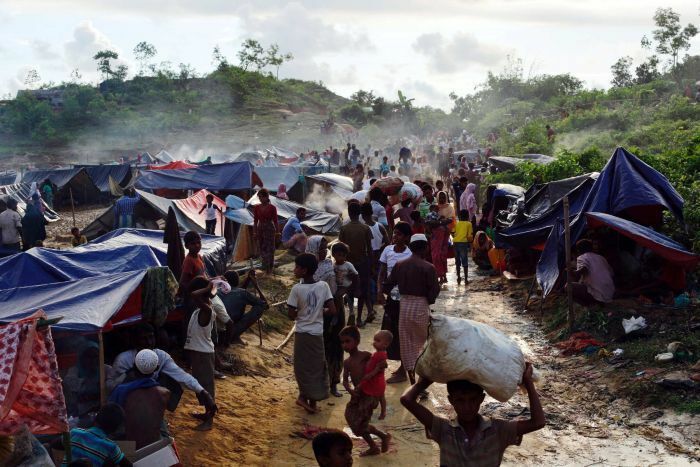 The roadmap focuses on 26 countries, and will eventually include individual reports for each country, which will be published later in the year. I had the opportunity to discuss the report with Dolf Gielen, Director of the IRENA Innovation & Technology Centre, just prior to the unveiling. Below are some of the 1) interesting matters I pulled out of the summary of findings, 2) questions the report generated for me, and 3) Dolf’s responses. One of the most surprising findings from the project, Dolf noted, was how little it would cost to achieve this doubling of renewable energy. And, actually, if you take external costs into account (health costs, climate costs, etc), doubling the renewable energy share is actually cheaper than business as usual. These low costs allow for a great increase in renewable energy supply that doesn’t hurt the economy but actually helps it! 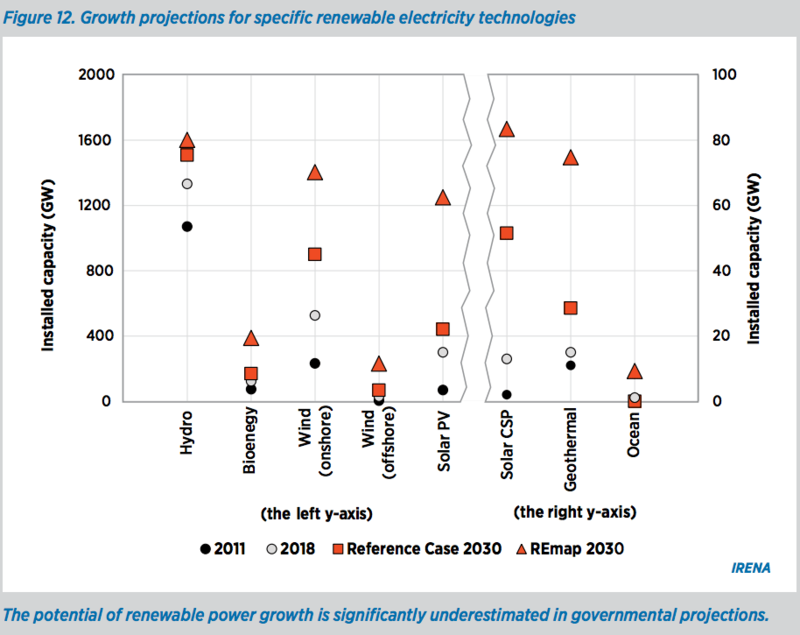 It’s also worth noting that REmap 2030 is not a presentation of maximum potential renewable energy growth, but rather something aimed at presenting realistic potential as it stands today, while clearly acknowledging that there are ways to make the future even cleaner than in the REmap 2030 scenario. In fact, the report shows that early retirement of fossil fuel plants, a greater model shift in transportation (towards bicycling, walking, and mass transit), greater electrification (which I discuss a bit below), industry relocation, and breakthroughs in cleantech could lead to ~50% renewable energy share by 2030. Each of these improvements are genuine possibilities, and trends we have clearly seen in just the past two or three years. 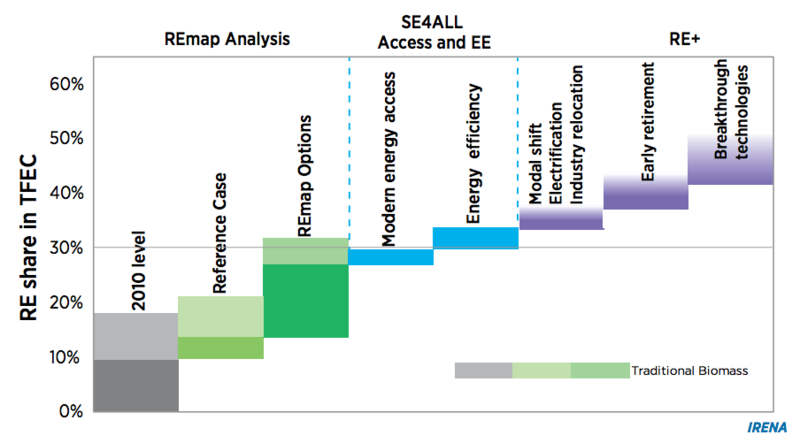 One chart that stood out to me in the summary report was one that showed REmap 2030 renewable energy share for total final energy consumption was about halfway between what was projected in low-end scenarios and high-end scenarios (see below). 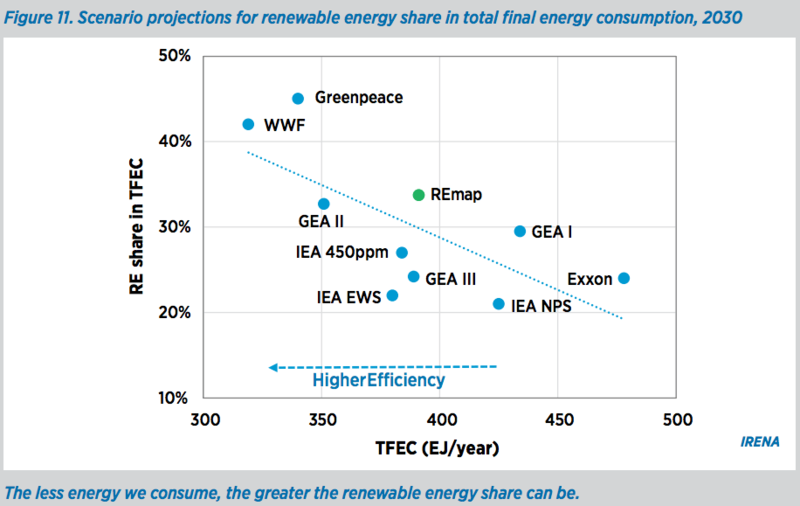 I asked Dolf why the REmap 2030 scenario differed so much from the Greenpeace & WWF ones, and he explained that the amount of renewable energy use is comparable to most other ambitious scenarios, and with greater energy efficiency in REmap 2030 the renewable share can increase further. Renewable energy use was actually very comparable in the three scenarios. Of course, I was also curious about the roadmap’s projections for electric vehicle growth. The projection was that only ~10% of passenger fleet transportation would be electric vehicles in 2030, which is more than some people project, but I still think is a pessimistic projection. In the end, I am in a certain camp of people who think that electrification of transport will be very disruptive and will see explosive growth. I don’t think 10% electrification is a bad projection, and it is in line with most projections from market research firms and energy agencies, but I do think it is an underestimate. Nonetheless, even achieving 10% of the passenger vehicle market would be a tremendous change from today. It would mean going from ~0.2 million EVs in 2012 to ~160 million EVs in 2030. Dolf also mentioned that this would imply sales of at least 10 million EVs per year between today and 2030. Digging in a tiny bit, I asked about which of the 26 countries under study would be seeing the greatest electrification of transportation. Dolf noted China and France as two examples. On another side of the transportation pie, REmap 2030 saw fairly strong growth in the use of cellulosic biofuels. Dolf noted one startup that has created a financially attractive cellulosic biofuel plant that it is looking to replicate in multiple locations. The startup is a subsidiary of Solazyme, a company which has been working in this field for several years. Overall, biofuels are projected to grow 6 times over, from 105 billion liters in 2012 to 650 billion liters in 2030. 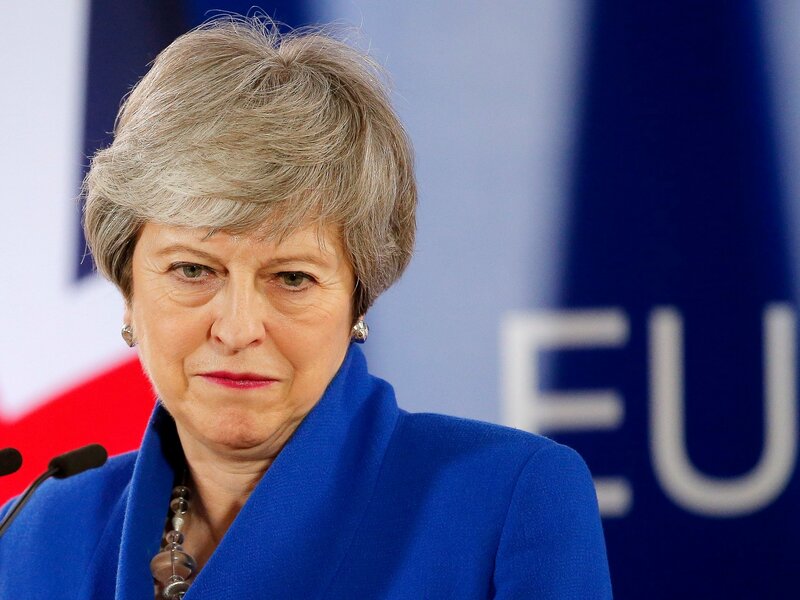 REmap 2030 does project that this doubling of renewable energy will come with a cost if you only look at the price of energy (that is, if you ignore the health and climate costs of fossil fuels). However, it is not a great deal. “By 2030, renewable subsidies rise to USD 238 billion with the REmap Options fully deployed — less than half of the USD 544 billion in global subsidies for fossil fuels in 2012.” In other words, after over a century of tremendous fossil fuel subsidies, fossil fuel industries are still getting about twice as much money from governments in the way of subsidies (annually) than renewable energy would be granted according to the REmap 2030 projection. Imagine if we gave renewables as much as fossil fuels have been getting! By the way, Dolf also noted that that a CO2 price of USD 28 per tonne would eliminated the need for subsidies. 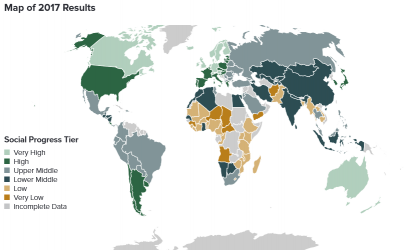 Again, if you count health, climate, and other social costs, doubling renewable energy’s share of the global energy mix will have a net economic benefit. “The doubling of renewables can reduce emissions by 8.6 gigatonnes of CO2 in 2030, enough (along with the lower emissions enabled by energy efficiency) to keep us on a trajectory to limit global warming by more than two degrees Celsius. These mitigation benefits range from USD 3-12 per GJ, and the average health benefits due to reduce air pollution range from USD 1.9-4.6 per GJ. In the most conservative estimate, the external benefits thus amount to USD 4.9 per GJ, nearly twice the additional cost of USD 2.5 per GJ. A total of 900,000 net jobs will also be created globally.” ~3.5 million direct renewable energy jobs would be created. So, from which energy resource will renewable energy be getting its increased share? 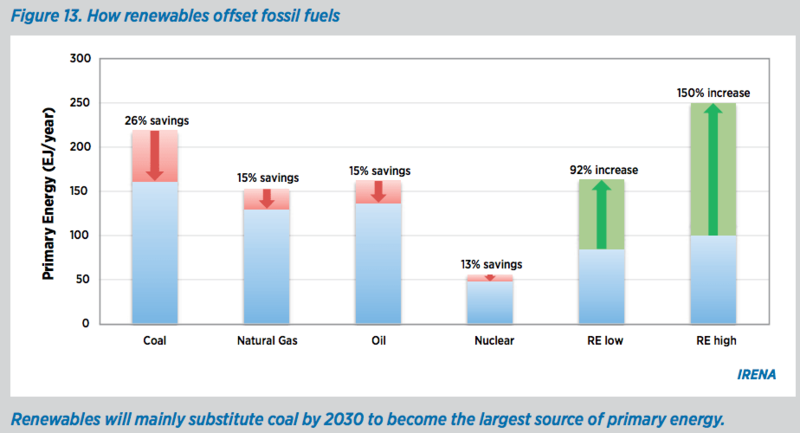 Coal is projected to be the main loser, declining by 26%. Natural gas and oil’s decline is estimated at 15%. 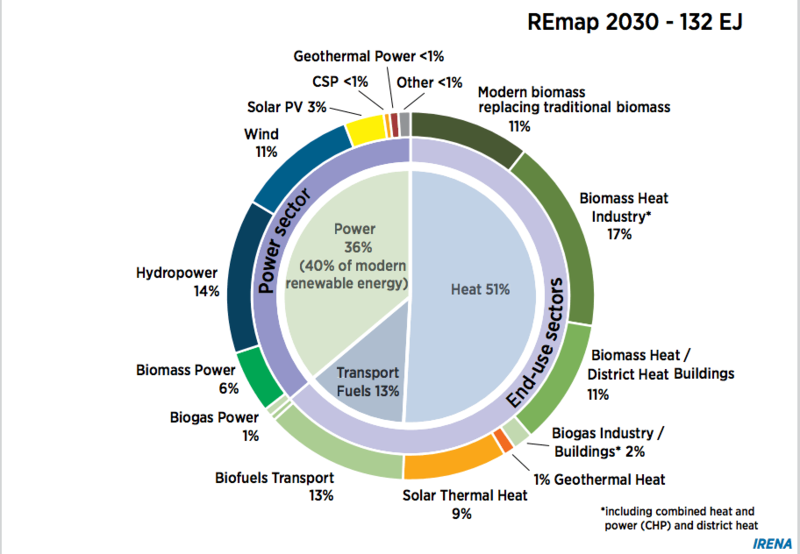 Aside from country-by-country roadmaps, REmap 2030 includes roadmaps for 4 specific sectors — cities, electricity storage, global manufacturing, and grid integration. It will be interesting to dig into those once they are published. Full disclosure: My trip to Abu Dhabi for Abu Dhabi Sustainability Week was provided courtesy of Masdar.